The new homonym album of Accordi Disaccordi is out from September 15th, 2017. Remember this date: 15th September 2017. 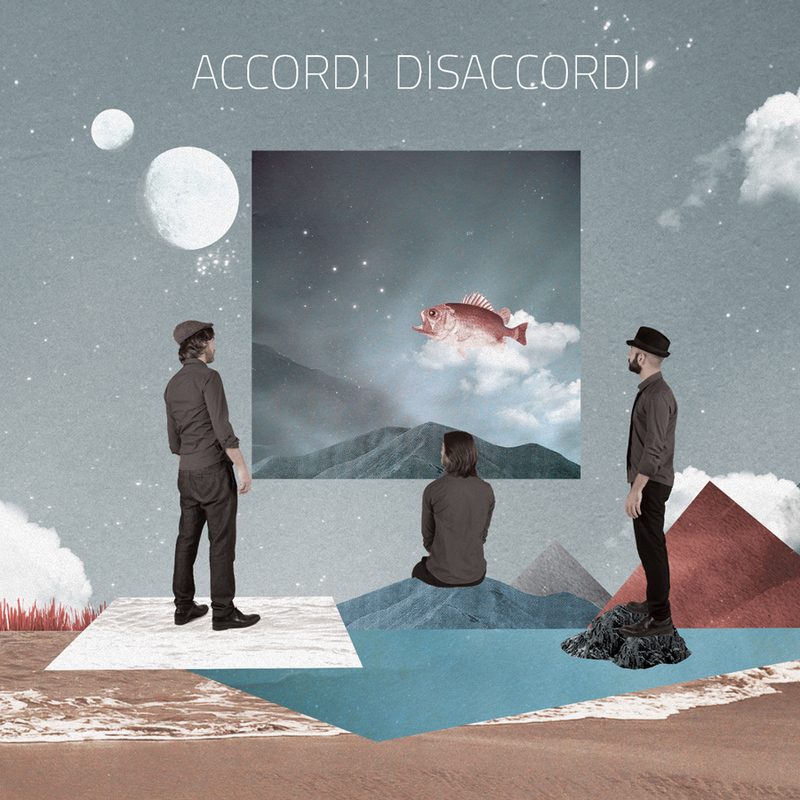 It is the release day of "Accordi Disaccordi", the album of the Turin trio of the same name. The trio is very active within the national and international swing scene and "Accordi Disaccordi" is their fourth record, embracing their own original interpretation of gipsy jazz sound, typical of their own genre. The album is made up of 14 original tracks, some of which are already very appreciated by their followers who have been seduced by 5 years of live performances. Their audience has been so enraptured by their live music that over 500 followers successfully supported Accordi Disaccordi's crowdfunding campaign aimed at raising funds for their first original album. Five hundred is a really substantial number, considering the genre interpreted by the trio. The 15th September 2017 will be "Accordi Disaccordi's" turn, sort of coming full circle which collects all the emotions and memories of the first five years of the band's music adventure. Fourteen original tracks composed by Alessandro Di Virgilio and Dario Berlucchi, played together with double bassist Elia Lasorsa, some tracks also feature guest musicians like Giacomo Smith (a successful jazz clarinetist from London) and Oscar Doglio Sanchez (cellist). In short five years, Accordi Disaccordi have managed to pass from street busking to large international stages, gaining credibility and conquering critics and insiders alike, who consider them as the next big thing in Italian and European swing music. With their fourth album, of the same name, they will prove they are not only excellent musicians and performers, but also artists capable of absorbing a music culture and making great original tracks from it. Engineered and mastered by Alberto Macerata - Play Studio, Bricherasio (TO). Cover design by Stefano Brizzi (breadandpixels.it). Giacomo Smith plays clarinet in "Lazy Wave", "Mafia Car", "Spaghetti Killer" and "Signor Noce"
Oscar Doglio Sanchez plays cello in "I caffè di Oliva" and "Signor Noce"
The first single from their album is "Stay", composed by Alessandro Di Virgilio and played with an original 1923 Mario Maccaferri guitar. You can buy the digital version or the physical version on CD. Don't forget to follow our social media profiles! © 2017 Accordi Disaccordi, tutti i diritti riservati.